The dresser with simple charm and functional designs will make a wonderful addition to your child's bedroom. 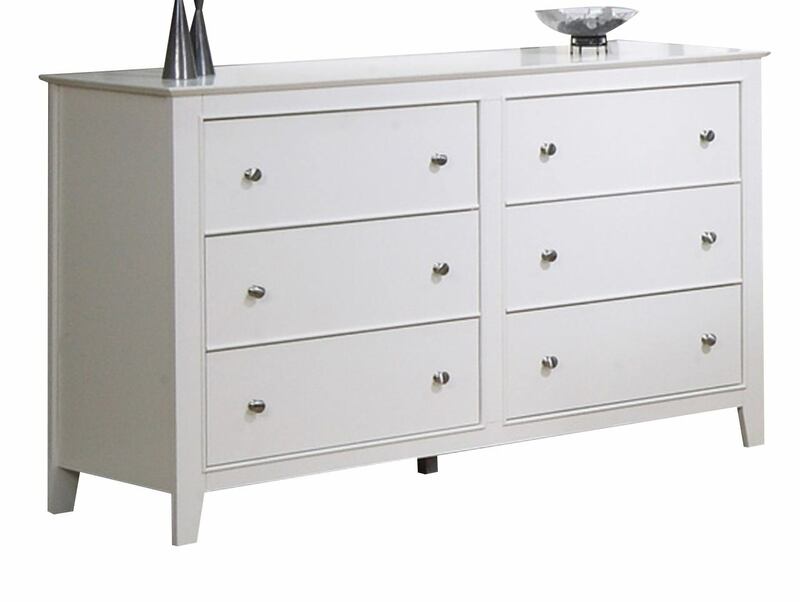 Rounded knob hardware and tapered legs compliment the refreshing white finish. Six spacious drawers provide room for clothing and accessories that completes the look. 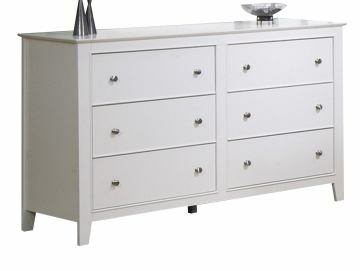 Pair with the matching dresser mirror for a perfect fit of your bedroom furniture.